Forsch, a new player in the market, was looking to launch an extensive range of premium engine oils for vehicles of all types. They needed an identity and communication line that would appeal to the next generation of road enthusiasts. It was the only way to penetrate a market that already had stiff competition in this segment. Our team got cracking right away and came up with a stylish logo, showcasing flair and passion. 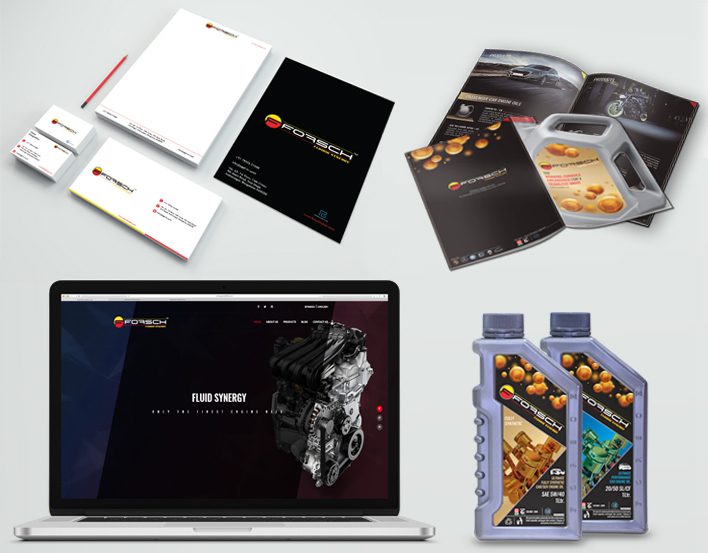 Our content, design and web teams collaborated to create a complete, end-to-end brand identity, from product packaging and brochures to a brand new website that would act as a digital customer touchpoint. Forsch was to be a relevant, internet-age brand. Forsch launched making a mark on many new prospective customers. It has been consistently been making all the right waves across communication channels, and the brand has really clicked with the younger audience, who don’t just look for a quality product, but a well-designed and well-packaged one. Forsch has really hit the ground running in terms of brand appeal and aesthetically-driven product packaging.